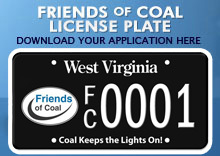 HUNTINGTON – The Marshall University Marshall Thundering Herd want the world to know they are Friends of Coal. WASHINGTON – The American Coalition for Clean Coal Electricity announced the election ofJoseph Craft III, president and CEO and director of Alliance Resource Partners, L.P., as its next chairman.Michael Ward, chairman and CEO of CSX, was elected vice chairman. 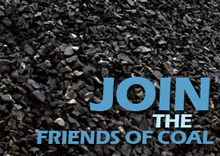 PRINCETON --The next regular meeting of the Pocahontas Coal Association will be held Thursday, December 10th, at 6:00 PM at the Princeton Elks Club. As is tradition during the Winter meeting, the PCA will be honoring the Boys High School Football Players of the Week, and also the Player of the Year. A dinner will also accompany the awards presentation. 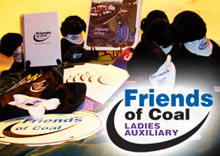 Bill Raney, President of the West Virginia Coal Association,will speak. Please plan to come and bring a friend! The Pocahontas Coal Association, Inc.
CHARLESTON –The Kanawha Valley Mining Institute will host its monthly meeting for December on December 3, at 6 pm at the Holiday Inn and Suites in Charleston. The program sponsor is Joy Global and Shannon Vest. The program specifics will be announced next week.